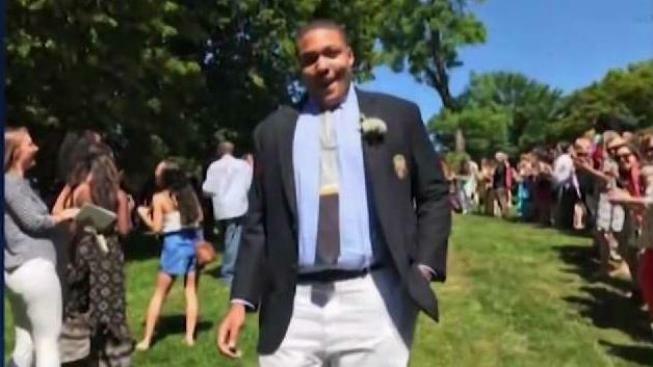 The board that oversees the University of Maryland and all other universities in the state says it will take control of the investigation into the death of football player Jordan McNair and the investigation into the football program's culture. McNair, an offensive lineman preparing for his sophomore season, died on June 13. He was 19. McNair was sent to a hospital after a team workout on May 29. In a statement released Friday evening, The University System of Maryland Board of Regents said it unanimously voted to assume authority and control over all aspects of the investigation into McNair's death. The board said it will also take control over the commission formed to investigate the culture of the University of Maryland's football program. "Today’s actions will allow the USM to provide guidance from the findings of the investigations to all system institutions," the statement said in part. The board voted after a special four-hour meeting and the statement said the board will announce more details next week. The board also asked the Office of the Attorney General to represent UMCP and USM on any and all legal claims related to Mr. McNair’s death, according to the statment. "Everyone throughout the University System of Maryland was deeply saddened by the death of Jordan McNair," USM Board of Regents Chair James Brady said in the statement. "Our thoughts continue to be with his family and friends, and with everyone at UMCP, at this very difficult time." “Our goal is to ensure that all system universities, including UMCP, are actively working to protect the health and safety of every student and to foster a supportive culture in which everyone can flourish," Brady said. “We welcome the oversight of the Board of Regents at this critical time. We must thoroughly investigate the death of student-athlete Jordan McNair and understand the allegations of the culture of our football program so that we can ensure the health and well-being of every one of our student-athletes. We will continue to honor Jordan’s life, and we will work with our Board of Regents to ensure that a tragedy like this never happens again.'"